The Netherlands is a very small country and there are not many famous Dutch people whose fame has made it across the borders of the little frog country. But there are famous people from The Netherlands who have earned status abroad. Most taxi drivers in any part of the world will shout out the name ‘Johan Cruijf’ when they hear you are from Holland. This legendary football player and coach has put The Netherlands on the map, together with Van Gogh, actor Rutger Hauer and dj Tiesto. Here are 10 famous Dutch people you might have heard of. Johan Cruijff, one of the best football players in the world. Johan Cruijff is considered one of the best of all time football players in the world. 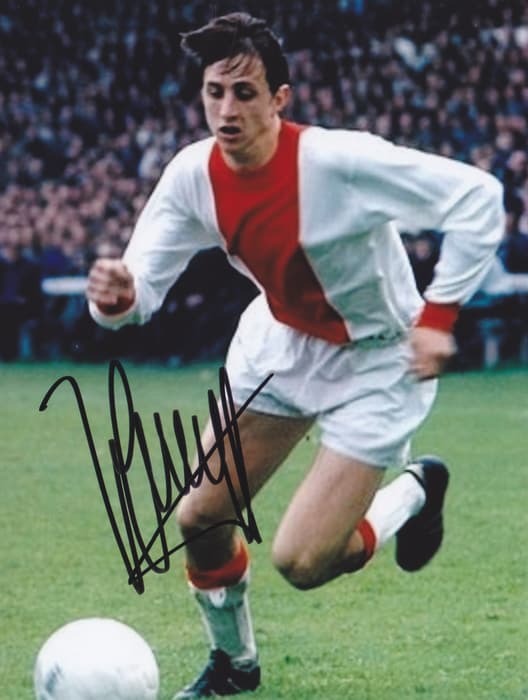 Johan Cruijff was born in 1947 in Amsterdam. He played for the Amsterdam football club Ajax when Ajax had its best years in history, winning many national and international competitions. Ajax played a special tactics that became famous all of the world: Total football, meaning any players can take over the role of any other player in a team. In Spanish it’s referred to as Mechanica Naranja (try to say this to any taxi driver in any part of South America or Spain). In 1974 Cruijff headed the most legendary match Holland has ever played. It was the finales of the World Championship against West-Germany. Holland lost. It was a traumatic experience that is still felt every time Holland play Germany. Later on, Cruijff became a famous football trainer, putting together the famous Dream Team of FC Barcelona. In The Netherlands (and also in Spain), Johan Cruijff is also known for his one-liners. His self-invented expressions are profound and totally useless at the same time. Other famous Dutch football players are Marco van Basten and Ruud Gullit. They starred in the famous team of 1988, when Holland became European Champion in West-Germany. Van Basten’s goal against the Sovjet-Union during the finals is one of the most memorable ever. Often pronounced without the hard Dutch ‘g’-sound, which makes it hard for foreigners to ask Dutch people in the streets of Amsterdam where the Van Gogh Museum is. Vincent van Gogh was a painter from the south of The Netherlands, not far from the Belgian border. During his life Vincent van Gogh hardly sold any paintings and was not famous at all. His fame started to grow only after his death, making him up to this day one of Hollands’ most famous painters. Other famous Dutch painters include Rembrandt van Rijn (known as just ‘Rembrandt’), who worked and lived in Amsterdam almost his whole life and Johannes Vermeer from the Dutch city of Delft. Both Rembrandt and Vermeer lived in the 17th century Holland, a prosperous time we call the Golden Age. Willem-Alexander is the eldest of 3 sons of Beatrix, who was Queen of the Netherlands from 1980 till 2013. When Queen Beatrix retired, Willem-Alexander became King of The Netherlands. 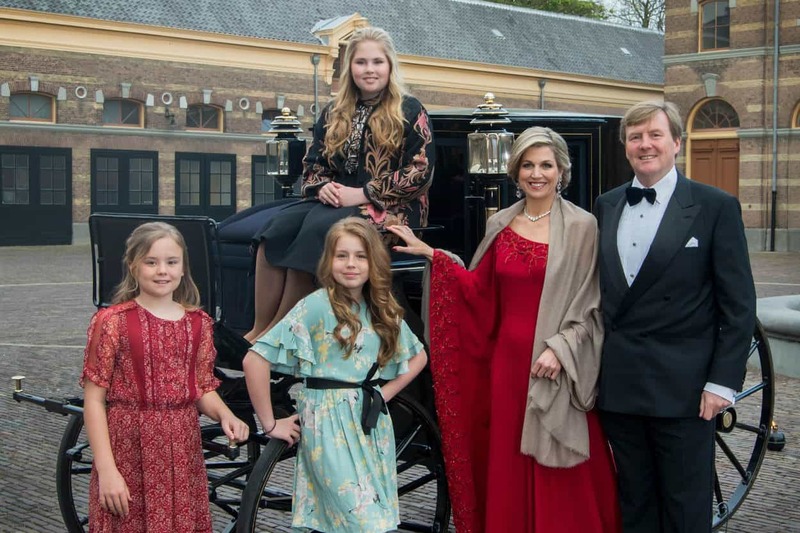 Willem-Alexander (and the monarchy) was not very popular in The Netherlands until he married the beautiful and intelligent Argentine Máxima, thereby turning the entire country monarchy-friendly. He is also know Prins Pils, which refers to his love of beer. But he is also famously sporty, skating the Elfstedentocht and (former) member of the international Olympic Committee. Maxima, Queen of The Netherlands is the daughter of Jorge Zorreguieta, who was part of the government during the military dictatorship of Jorge Videla in Argentina. Her father was not therefore not invited to the marriage ceremony. 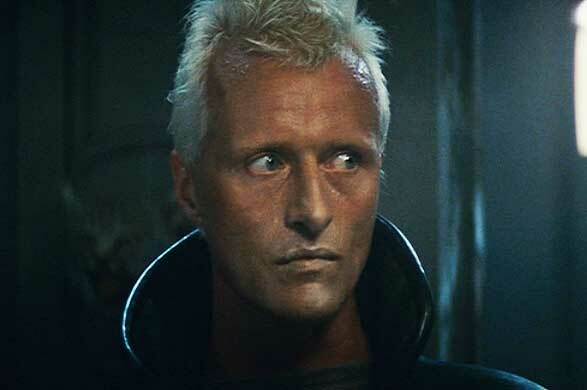 Rutger Hauer in Blade Runner. Rutger Hauer is a Dutch actor born in 1944 who moved to Hollywood to pursue an successful International career. You might have seen him in Nighthawks, Blade Runner, Blind Fury, Flesh & Blood or Escape from Sobibor. In Holland, Rutger Hauer has made a lasting impression with the film Turks Fruit (Turkish Delight), after the book by Dutch writer Jan Wolkers, where he plays a bohemian artist in 70s Amsterdam. In The Netherlands Rutger Hauer became famous when he played Floris in 1969, a television series by Paul Verhoeven. Paul Verhoeven later became very big in Hollywood, directing films like RoboCop (1987), Total Recall (1990) en Basic Instinct (1992) . How long the names of Tiësto and Armin van Buuren and, recently DJ Hardwell will stay famous, time can only tell. Fact is The Netherlands has produced some very famous dj’s in the last 10 years. Tiësto was the first name to spread around the world. Behind the world wide brand is Tijs Verwest from Breda. In the nineties Tiesto quickly became a popular trance dj, playing at parties all over the world and making record amounts of money (250.000 dollar per gig) behind the decks. Armin van Buuren, another trance dj, started the road to fame and fortune in 2001 with the radio show A State of Trance. The latest rising star is the young (born 1988) DJ Hardwell, Robbert van de Corput. He makes mostly dance and house music and has his own radio show Hardwell On Air at Dutch Radio 538. DJ Mag named Hardwell best dj of the world in 2013 and 2014. Dutch politician Geert Wilders often travels abroad to criticize Islam and ends up in the international newspapers as the object of protests and controversy. Wilders started his own party Partij voor de Vrijheid (Freedom Party) in 2004 and running it practically on his own. The overly blonde man from the South of The Netherlands receives many treats. The treats are not to be taken lightly. In 2002 Dutch populist politician Pim Fortuyn was shot dead. His party, the new LPF, was about to make a big winning in the forthcoming elections. Pim Fortuyn was killed by an extreme animal activist outside a radio station. U2 cover by famous Dutch photographer Anton Corbijn. Anton Corbijn is a Dutch photographer most well know for his portraits of famous people, mostly in music. Among them are: Simple Minds, Bob Dylan, Tom Waits, David Bowie,Miles Davis, Joy Division, Björk, Captain Beefheart, Robert De Niro, New Order, Stephen Hawking, Luciano Pavarotti and Clint Eastwood. Corbijn also designed many record covers, for U2 (The Joshua Tree en Achtung Baby), Green Day, Depeche Mode, Nick Cave, Metallica, Therapy?, The Rolling Stones, REM and the Bee Gees. He also directed music videos for U2, Metallica, Roxette, The Killers, Joy Division, Depeche Mode, Front 242, Coldplay, Johnny Cash en Arcade Fire. For his music video Heart-Shaped Box of Nirvana from 1994 he won an MTV Award. Lastly, he also directed films: The American (with George Clooney), A most wanted man, Life and Home. Corbijn has also made several succesful movies. Another famous Dutch photographer is Erwin Olaf. John de Mol might not be a famous name, but the influence of him on the world of reality television is huge, as he was the creator of the first Big Brother television series. In 1999 the first Big Brother series was aired in The Netherlands. In Big Brother 12 people were locked up in a special building with camera’s everywhere. Every now and then one of the people was nominated by the other participants to leave the house. It caused quite a stir and a big media hype. Since 2000 Big Brother is produced and aired in at least 58 different countries. Rem Koolhaas is a is a famous Dutch architect. In 1975 he founded the Office for Metropolitan Art (OMA) in London. His creations stand out and Koolhaas plays a big role in the international debate about urban architecture. Examples of his work are Parc de la Villette, Paris (1982), Kunsthal in Rotterdam (1992), embassy of The Netherlands in Berlin, Seattle Central Library Seattle, Beverly Hills Prada , Second Stage Theatre in New York and Central China Television Headquarters Building in Beijing, China. In 2008, Time named Rem Koolhaas in their top 100 of The World’s Most Influential People. The reason Dutch people dress on national occasions in orange is this man: Willem van Oranje (William of Orange). 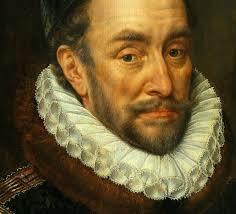 Willem van Oranje is known as the founding father and hero of The Netherlands. Willem van Oranje, also known as William I, Prince of Orange or William the Silent (Willem de Zwijger) made his fame when he led the Dutch uprising against the rule of the Spanish Habsburg, which led to the 80-year war (1568–1648). William of Orange, first of the Dutch Orange monarchy. William of Orange was a wealthy nobleman born in the House of Nassau (Germany) and a proponent of freedom of religion for all people. Declared an outlaw by the Spanish king in 1580, he was assassinated by Balthasar Gerardts in Delft in 1584. In 1677, William II married his cousin Mary Stuart, the daughter of the future king James II of England. In 1688, William threw his Catholic father-in-law from the thrones of England, Scotland and Ireland and him and his wife were crowned the King and Queen of England. William III died childless after a riding accident on March 8, 1702, leaving the main male line of the House of Orange extinct, and leaving Scotland, England and Ireland to his sister-in-law Queen Anne. Willem-Alexander, present King of The Netherlands is a decedent of William of Orange through the female line. Though William III did not have any children, there are conspiracy theories that say otherwise. The national anthem of The Netherlands, the Wilhelmus, was originally a propaganda song for William of Orange. That makes William of Orange the most famous of all famous Dutch people.